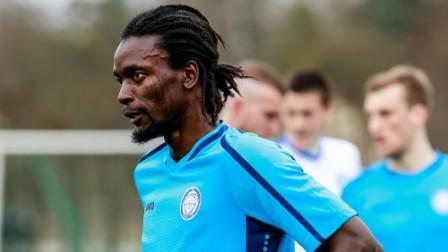 Former PAS Lamia 1964 midfielder John Kamara (in photo), who recently joined Latvian Premier League side was very influential as Riga FC registered their first 2-0 win of the season away to BFC Daugavpils last Saturday. Kamara, 27, since his move from Greece, has played every game so far this season, for Riga FC and his encouraging performances in midfield against top sides like Ventspils and Jelgava had restored a certain amount of confidence in their display. The two winning goals were scored by Sergei Vorobyov in 38 and 70′ minutes. The victory sees them moved to sixth in the Virsliga standings after their opening five games. They face Liepaja on Saturday at the 5,000 seater stadium in Daugava.